It feels weird to put these fingers to keys that type out words. I'm happy to be back. To be back in the blog atmosphere. It's been a couple of refreshing and sweet weeks of vacationing. Christmas Eve, Christmas Day, Lake Tahoe, Reno, New Year's Eve, New Year's Day, Universal Studios, and everything in between. You'll see photos soon, I'm sure. Or you've already been seeing them on my Instagram:) It was an awesome time, loveys. My favorite time of year. The time I can spend with the ones I love the most. Last night as I thought about what I'd write this morning, I was calm. I was refreshed. I was ready to take on this new year. But this year, I want to do it a little differently. I want to be all there in every aspect of my life. Home, Marriage, School, Work, Blogging, Myself (!) - in everything I want my full attention in that moment. I want Presence and I want to Just Breathe. My "one little word" of the year: Presence. I noticed that when I'm doing something, I'm pulling myself in every direction and not living in that moment. It could be the simple action of watching a tv show - I'd have my phone in one hand, a book in the other, eating Doritos, and trying to do all those things at the same time. It's time to put the phone down, and that book, and especially those Doritos, and just enjoy watching The Gilmore Girls with my daughter. Or if I'm out having dinner with my family, I don't need to take a photo of every bite I eat. Really!? I noticed I was doing this a lot when we were in Lake Tahoe. I noticed that the photos I was taking didn't even take into any tiny account how beautiful the scenery was. I needed to just enjoy it. I needed to put that phone down and just savor each moment I was blessed with. I needed to Just Breathe. I was in between Presence and Breathe for my "one little word". Last year's Brave was so powerful for me. I stepped out of my comfort zone in so many ways last year. I wanted to have something that powerful again for 2015. But I decided that my word didn't need to be powerful when I chose it. It would become what it needed to be for me. Just like Brave did. So Presence won me over. But Just Breathe is going to be my mantra, my little reminder that I can do things without spazzing. Because I spazz a lot. A Lot. I need to just breathe when I think something is going to be overwhelming. If I try to be present in every action, things shouldn't be so overwhelming, right? I need to Just Breathe and Give Presence. Take a minute and watch this YouTube video my friend sent me last year. 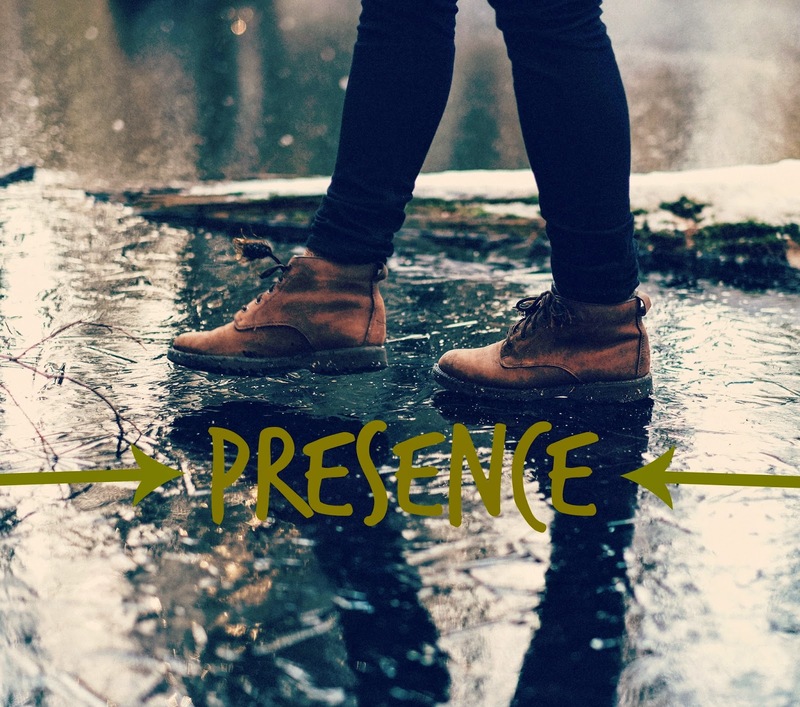 It is a big part of why I chose Presence. What is your One Little Word? Tell me. I love you, loveys. So nice to be back here with you.